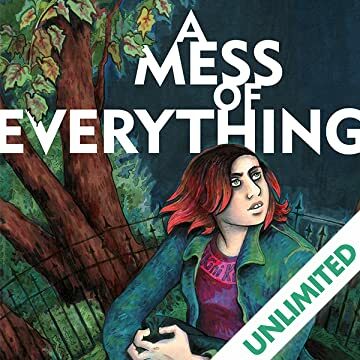 A Mess of Everything is the second volume in Miss Lasko-Gross's semi-autobiographical trilogy, picking up where the first volume, left off: self-effacing non-conformist Melissa is now in high school, where the stakes are higher as she copes with an anxiety-induced drug habit and an anorexic best friend. Melissa finds herself negotiating the kinds of everyday problems facing young adults today - such as alienating her friends with her uncomfortable honesty and accidentally breaking her best guy friend's heart. Eventually, her woes cause her to nearly flunk out of school, and by the end of the book Melissa faces the choice that we all do at some point: to take the risk and pursue her dreams or settle for a safer, more secure routine. The unsentimental truthfulness that is the hallmark of Lasko-Gross's work is coupled with a raw but increasingly refined visual vocabulary. 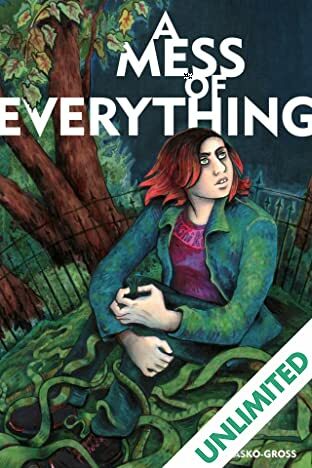 A Mess of Everything is an intense, honest, and funny memoir that holds appeal for anyone who is navigating, or who has ever grappled with, these issues. She expresses the awkward naïveté and inexperience of a young girl with the keen insights of a mature artist.